Last week, we got an email from a close friend of ours. 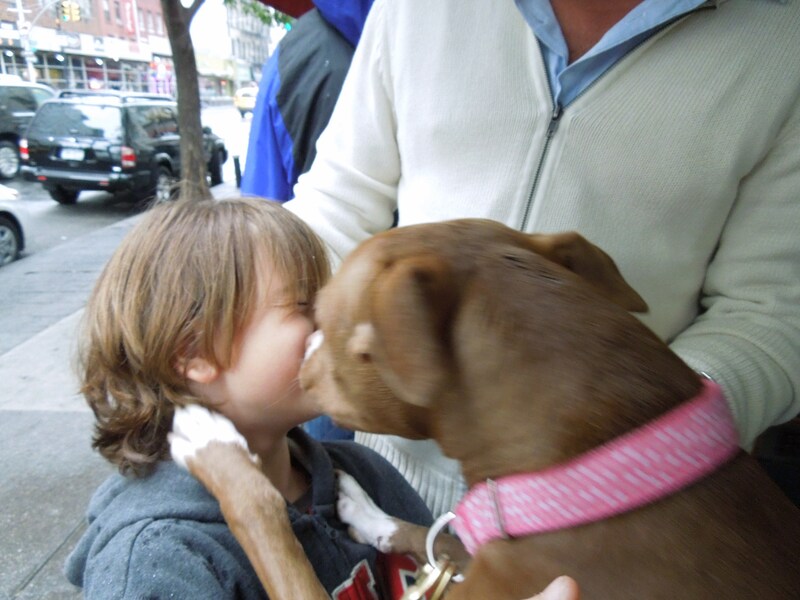 She had met a dog, named Nena, at an Animal Care & Control adoption event outside of her apartment building. She became so enamored with her, but she knew she couldn’t take her. So that’s where Bully Project came in. 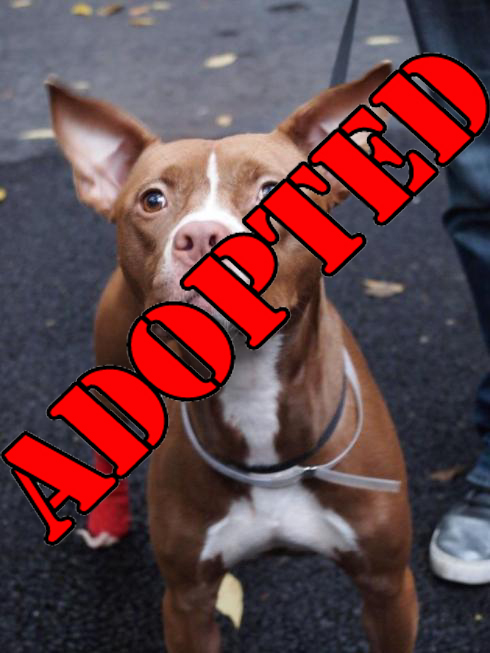 While at ACC, Toasty had developed kennel cough, along with cutting one of her feet somehow. So we had to send her to a vet with an isolation room so that she could recover without infecting any other dogs. She is currently living at the vet’s office and getting non-stop care, attention and love. In fact, the vet staff can’t stop raving about her to us. 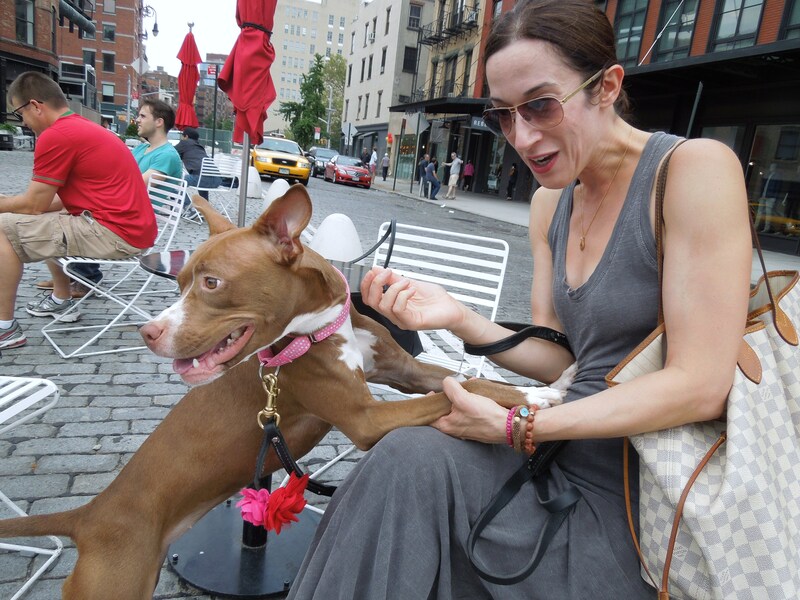 Our friend who brought Toasty to our attention lives and works nearby, so she gets to visit Toasty on a regular basis and take her out for strolls in the West Village where she’s met all kinds of people. She would very much like to play with the dogs she sees, but because of her kennel cough, we haven’t been able to do any dog introductions yet. But soon! 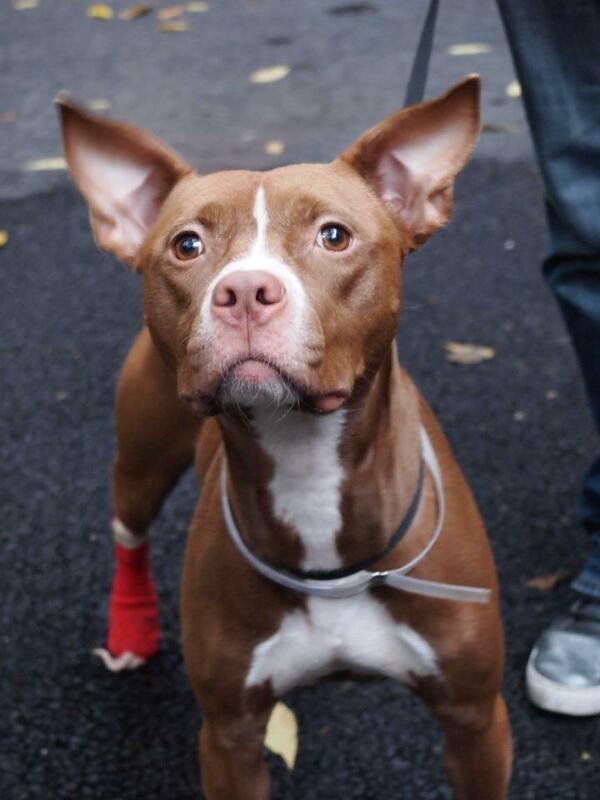 As you can see, Toasty is a pretty petite little pittie girl. She’s just over one year old, and weighs around 40 bs. Her ears are always cutely perked up, and she loves to be with people. She also LOVES to play with toys! 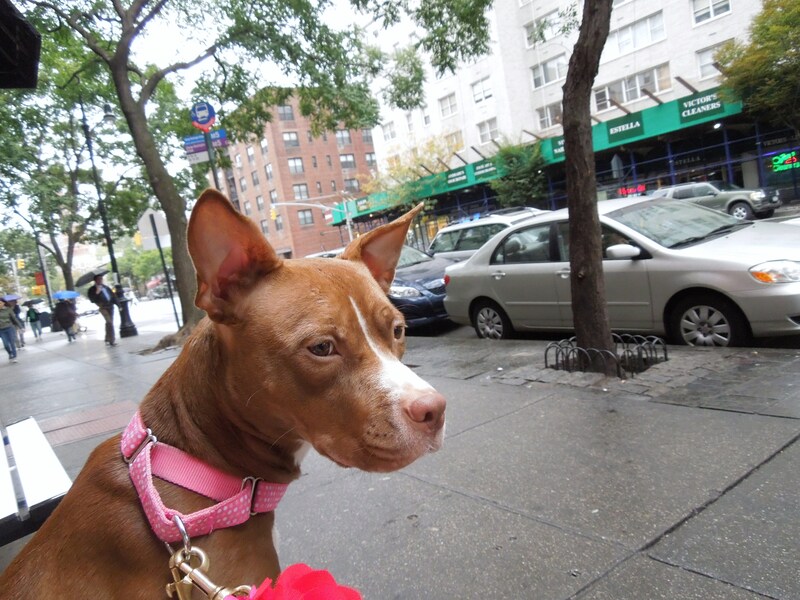 Email us at BullyProjectNYC@gmail.com if you or anyone you know might be interested in meeting our cute, little Toasty.